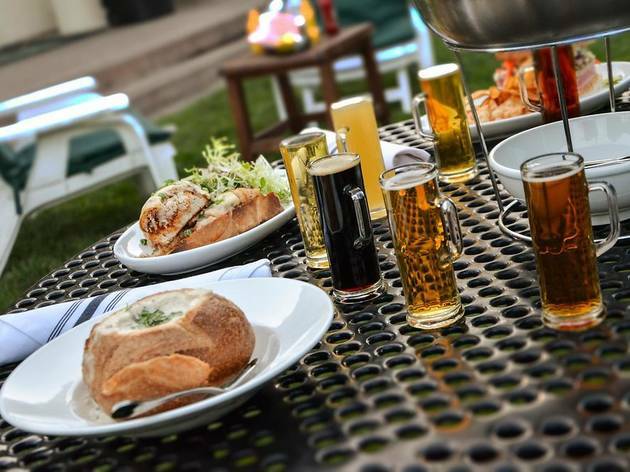 Across the Great Highway from Ocean Beach, just on the edge of Golden Gate Park, is the Park Chalet Coastal Beer Garden. Housed within the park’s visitor center on the lower level of the Beach Chalet, this garden opens up directly into the park itself. 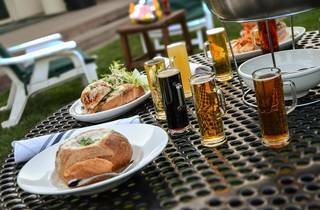 Take your stein of house brewed beer and wander: out the greenhouse-like taproom, across the patio and yard and into the woods. This casual landscape is home to live music from the likes of local surf-rock band The Mermen, and six permanent (plus two rotating) beers that allow the brewmaster to get creative—oyster stout, anyone? Take a seat anywhere, and don’t miss the ocean rolls that cradle lobster, crab or shrimp.